Pink and red are 'A MUST' on Valentine's Day. You should sneak hearts and 'love' in there too. I'm a fan of themed gift-giving and Valentine's Day is the one day of the year you can purchase pink everything and it works (I'm a HUGE fan of the color pink). 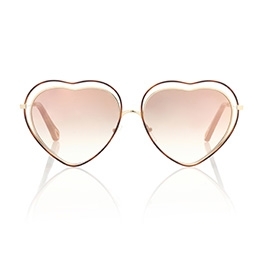 Heres a carefully curated list of Valentine's Day worthy gifts for your special person..
Chloé Poppy heart-shaped sunglasses (available at Mytheresa.com) are the perfect Valentine's Day gift. Chloé is my go-to designer for sunglasses. The high-quality frames and unique designs are retro and embody the spirit of the seventies. Dolce & Gabbana has a wide selection of 'love' inspired sneaker designs. 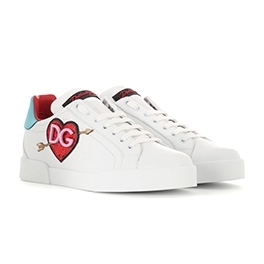 These D&G appliqué logo heart sneakers are endearing and vibrant. The sneaker addict in your life will 'love' these. Visit Mytheresa.com and Farfetch to peruse the D&G sneaker collection. 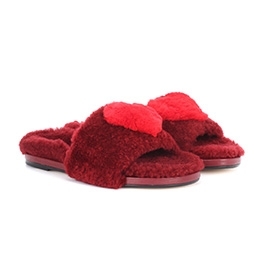 These Anya Hindmarch shearling heart-embellished slides (available at Mytheresa.com) are the perfect Valentine's Day gift. Red, fluffy, and cozy says 'I only want the best for you'. The bright red heart against the Bordeaux rabbit fur is perfection. 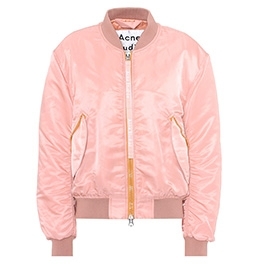 I have-to-have this pink Acne Studios Clea bomber jacket (available at Mytheresa.com). I love the contrasting yellow zipper against the perfect pale pink-hued fabric. Acne Studios is one of my favorite clothing and accessory brands. This brand is high-quality - the understated pieces add color and style to your wardrobe (at least my wardrobe, cause it's all gray). Yeah, another pair of love inspired sneakers from Dolce & Gabbana. 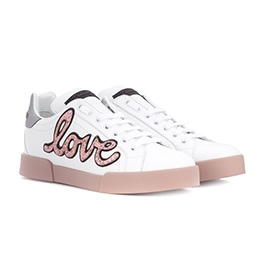 The glitter 'love' inscription is sweet, while the contrasting pink sole and white leather give these D&G love leather sneakers a cool vibe. This style is selling out everywhere. Visit M'oda 'Operandi - there's only a few sizes left. 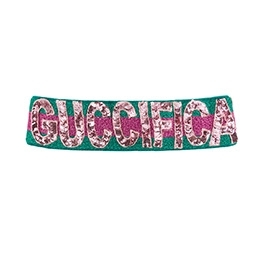 The green and pink sequin Guccifica headband is just fun! Everything about the Gucci collections are unique, vibrant and oh so retro. This metallic fibre blend hairband has an adjustable fit and would look great against my black hair - is anyone listening? Hint hint.. 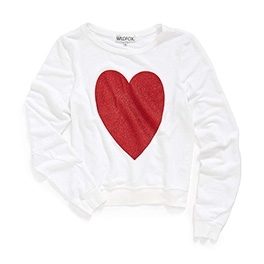 This heart-embellished sweater by Wildfox isn't available for purchase anymore, but it inspires me to wear hearts on Valentine's Day. Be fun, go pink and put on some red lipstick.. This sequin heart-embellished sweater is young and festive. I left the best for last. Everybody wants a Victoria's Secret gift card! For Valentine's Day, opt for a 'love' inspired card. I always say gift cards are the best gift that keeps on giving - you get a gift and then get to go shopping..